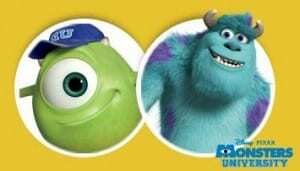 Click here to visit the Huggies site and scroll down to where to says “Get A Call From Mike Or Sully” and click “Schedule A Call.” Next choose you character, a time to call, and enter your phone number. Done! You’ll receive a call from either Mike or Sully to let them know its time for a potty break.